As Rolling Stone notes, “The Losing End” from 1969’’s “Everybody Knows This Is Nowhere” was recorded during the second of two shows in a single evening at the Fox Theater in Atlanta, GA on November 24, 1976, just 24 hours before Young jammed with The Band at “The Last Waltz” event in San Francisco, CA. "The shows were reckless and beautiful," explains Crowe, who was on the road with the Canadian rocker at the time. 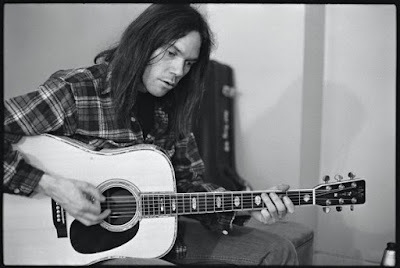 "The evenings began with an hour-long acoustic solo set from Neil. The acoustic portion of the evening morphed nightly, often fueled by a smoke or two just behind the curtain. After a break, Neil and Crazy Horse would return for a barn-burner of an electric set designed to level the place. They succeeded nightly." “Songs For Judy” will be initially be available via CD and digital, with a vinyl edition to follow on December 14.